One of the problems that is often associated with central heating units is that though the they keep your home warm, you don’t really feel that warmth. In addition, when you come in from out of the cold, there is no area of warmth to take of the chill from being outside. A fire place or a wood stove can provide that service, but they tend to come with a lot of mess and a lot of maintenance. That’s why many people choose a space heater to get a blast of warmth in a smaller area or single room. Choosing a space heater that works well for your family and your situation can be something of a challenge, because there are plenty of models to choose from and plenty of features to sort through. Our buyer’s guide can help you become better informed about the various types, styles and features available so that you can narrow down your choice. 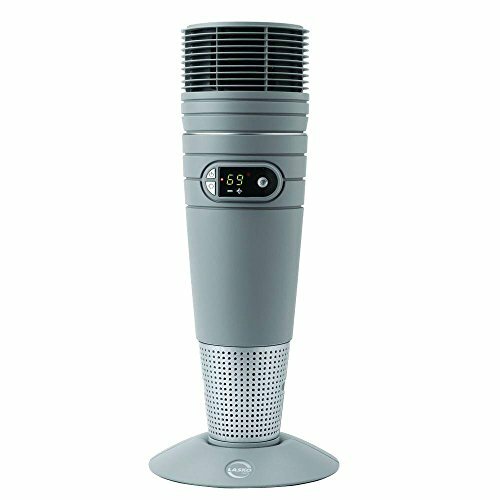 We have also set up reviews of several space heaters and where they might best be used in our reviews section so that you can compare models and narrow your choice further. We hope to have you well enough informed through our buyer’s guide and reviews to make a well-qualified choice when it comes time to buy the right space heater to fit your needs. Why do you need a space heater? As we mentioned in our introduction, many people find that a central heating unit simply doesn’t provide that feeling of warmth that they seek when there is a winter chill in the air. Taking off that chill is one reason for a space heater, but adding a space heater to a shop, garage or basement where central heat is not available is also a reason you might need a space heater. In addition, a space heater will prevent you from cranking up the thermostat on that more expensive system. What benefits can you expect from a space heater? Central air systems are very efficient for maintaining a constant temperature. What they aren’t good at is making you feel like you are being warmed. Cranking up your thermostat will cost you a bundle, but using a space heater in various rooms to chase away that chill can prevent you from doing just that and can help reduce the costs of running your central air unit. By keeping your thermostat at a steady temperature of 65-degrees while heating a smaller space with a space heater, you can see a significant cost reduction. 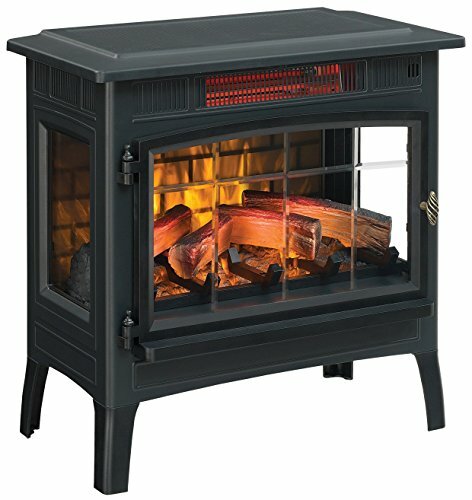 What are some features to look for in a space heater? There are a wide variety of space heaters for various sizes of rooms and for numerous needs. However, there are a number of features that are common among space heaters that need to be considered. Let’s take a closer look at those features. Safety should be a primary concern. Burning yourself or a family member, or even your entire house, shop or RV is not the best use of a space heater by a far stretch. Most modern space heaters come with safety shutoff switches for thermal overload or when they are tipped over. Make sure that the space heater you choose is UL and/or ETL listed and has the necessary safety features to operate safely. There are two main types of heat: convection and radiant. Regardless of whether a heater is ceramic or infrared, how it distributes that heat is the real distinction. A convection heater will heat a ceramic or infrared core and then make use of convection to blow heated air from the vicinity of the core out into the room. This type of heat will heat up the whole room rather than direct heated air on a specific person or in a specific area. This type of heat is better when you are moving about the room or there are several people who would like to benefit from the heater. Radiant heaters will heat a room over time, but what they do best is blow heated air within the range of the fan, heating a small area very quickly. Radiant heaters do not depend upon the air in the room, but radiate their heat by sending out waves of heat in a specific direction. These types of heaters are better for taking off a chill. Infrared heaters tend to be used for this as well because they can provide fast, targeted heat without a fan, are easy to maintain, quiet and efficient. Heating a small space can be accomplished by a simple 120 volt, 1,500 watt space heater. 1,500 watts of electricity per hour will produce 5,100 BTUs of heat. Sizing a space heater to fit the space you intend to heat could not be simpler. The general rule is that 10 watts will produce enough heat to heat a single square foot of room area with a typical ceiling height of 8 feet. Consequently, a 1,500 watt heater will heat a 150 square foot room. • Size and weight. This makes a great difference when you are talking about portability. • Built in thermostat. Being able to set and adjust the amount of consistent heat you want in the room without having to turn the unit on and off manually is very convenient. • Remote control. Not all heaters have or need a remote control, but it sure is nice to be able to adjust various functions of your space heater using one. • Oscillation. This is another feature that can be pretty handy when there are a number of people in a single room or if you’re moving around a lot. With the above features in mind, you should be much better informed to compare the various types and models of space heaters on the market. Using our reviews below will help you compare how different features and benefits are implemented in various units and help you further narrow your choice. The Lasko 6462 Ceramic Full Circle Tower Heater is a great option for heating a cold room and cutting the chill. This tower heater features oscillation at 90, 180 or even a full 360-degrees to warm the whole room. It is lightweight and has a small footprint, making it a great choice to move from room to room without having to worry about where to put it. Its built-in thermostat can be adjusted between 39 and 90 degrees Fahrenheit, it can be controlled by remote control, and features tip-over and thermal overheating safety shutoff as well. The major plus of this space heater is the oscillating action which will turn a full circle or allow you to set it to move back and forth at specified sweeps. This unit has a fully programmable thermostat that can be operated on the unit or using a remote control. I is small enough to be moved from room to room without any trouble. It includes easy to remove and clean air filters for added health. It will heat a 150 square foot room and meets all safety requirements. This unit does require some assembly, though it is not complicated. It has an unpleasant smell when it is first activated, but it burns off after extended use. It is a bit pricey for a moderately powered space heater. You tend to move around the room a lot or just want to spread out the heat. You might be able to justify the price of this unit if you are on a budget. 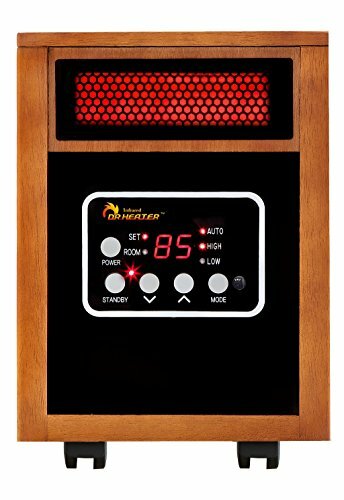 When it comes to efficiency, the Dr. Infrared Portable Heater is toward the top of the space heater list. This heater won’t dry out the room where you are using it because it uses moisture conserving infrared heat. It operates at a low rated 39 dB even when the blower is set at high velocity. It has a 12 hour shutoff timer that can be set to shut the unit off automatically and can be programmed on the unit or using its remote control. The more efficient moisture conserving infrared heat is certainly a plus when it comes to preventing drying out the air in the room. The remote control, programmable thermostat from 50 to 86 degrees and 12 hour auto-shutoff timer are all great features and benefits of this unit. The noise level of this unit and the included 3 year warranty are icing on the cake with this heater. This unit turns on and off while checking the temperature and making adjustments quite often when it gets close to the set temperature and it becomes annoying. The design and durability of the included remote are a bit substandard as well. You live in a dryer climate and want a more efficient heater to take off the chill. You might be disappointed in some of this heater’s little quirks. 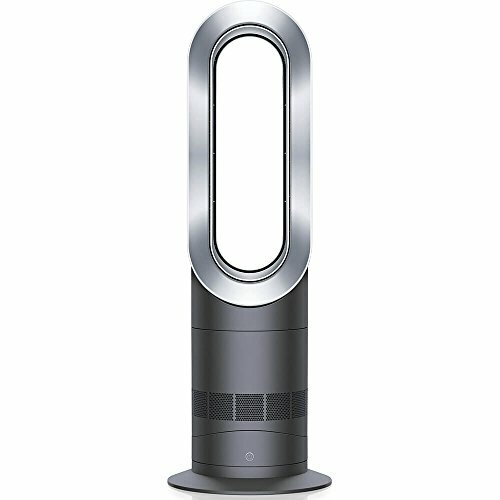 You can use the Dyson AM09 Fan Heater year round. Whether heating or cooling, this unit creates a powerful stream of uninterrupted cool or warm airflow. It has Quiet Mark accreditation and includes a sleep timer, oscillation and energy efficiency. It does not have spinning blades to hurt fingers or paws and can be operated by remote control. It has a small footprint and is very portable and will heat a 200 square foot room. The futuristic design of this unit as well as its innovative multiple uses make this unit stand apart from the rest. It utilizes a brushless motor with not spinning blades for quiet efficiency and safety. It can heat a room up to 200 square feet. It can be operated by remote control, has oscillation, a built in thermostat and a sleep timer. It also comes with a 2 year warranty. You might have heart failure when you see the price tag on this unit, since you could buy four or more of the other space heaters for the same price. The buttons on the remote are a bit small, hard to see and hard to use. You want a highly efficient unit that will both heat and cool, and money is not an issue. If you are on a budget… well, just keep looking. This is your basic ceramic space heater from AmazonBasics. It includes three output options, an adjustable thermostat and oscillation in order to disperse heat in multiple directions. This unit is ETL listed and is light and easy to move from one room to the next. This heater will heat a 150 square foot room. This basic ceramic heater is lightweight, compact and is offered at a price that will fit any budget. It includes all of the necessary safety features for dependable and safe operation. It can be adjusted by a programmable thermostat, will heat a 150 square foot room, and comes with oscillation for better warmth disbursement. It also comes with a 1 year warranty. This ceramic heater is a bit unstable on carpeted surfaces and tends to switch on and off because of the tip-over feature. It has a hum that is a bit annoying and some find it a bit too small to work well. You want a dependable, no-frills space heater at a budget price. This unit might not put out the amount of heat you are hoping for. When it comes to a space heater for a bedroom, you want one that is quiet and doesn’t require you to get out of bed and adjust it often. 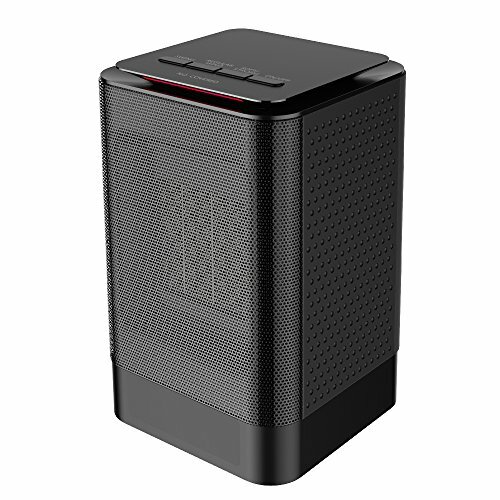 The DeLonghi fits both of those desires in a well-built, portable, ceramic tower heater. This unit is much quieter than other models and can be controlled by a remote control. It has side to side oscillation to spread warmth throughout the room and is equipped with a built in adjustable thermostat. It has all of the necessary safety features and will heat a 150 square foot room. The low noise of this heater is great for the bedroom as is the remote control which allows you to adjust the unit without getting out of bed. It will heat a 150 square foot room evenly using its oscillating action. It has an adjustable thermostat and has thermal overload and tip-over shutoff features as well. It has a small footprint, is portable and comes at a decent price. The clicking of this unit when oscillating is somewhat annoying and it beeps to acknowledge programming changes. The lack of warranty information is a concern as well. You want a quiet, dependable tower style space heater for your bedroom. You might not be impressed with some of the quirky noises it makes. 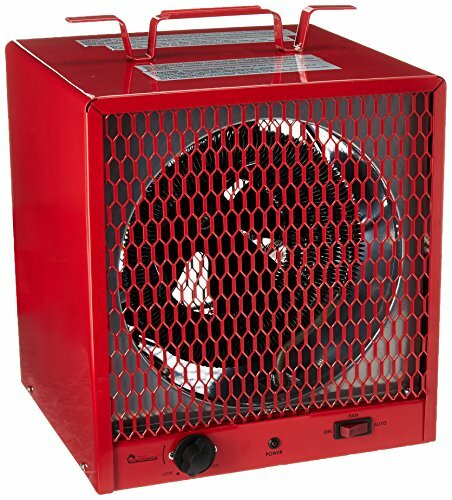 The Version Tech Small Space Heater is very lightweight, very compact and very quiet. 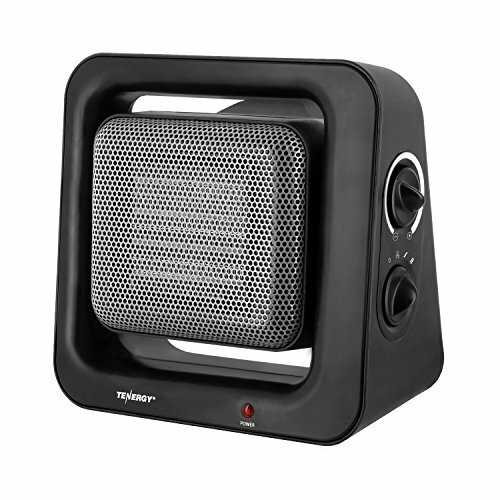 At 45 dB, it is pretty hard to beat the quietness of this heater, which is great for a baby’s room or your room as well. 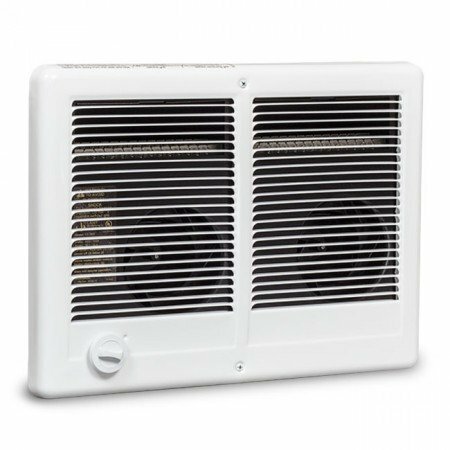 This unit can be used as a fan or a heater and includes a 90 degree oscillating action to spread the air around the room. It has the necessary safety certifications for overheating and tip-over protection and will heat a 100 square foot room. This small heater is very quiet and portable and takes up very little space. It has oscillating action and can work as either a fan or a heater depending upon your needs. 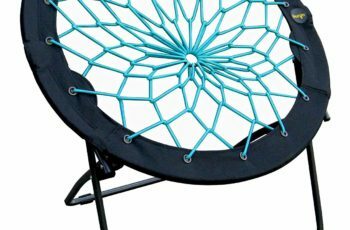 It has all of the necessary safety features, is flame retardant and has no opening for small fingers or paws to get stuck in. Its quiet operation and features make it a good choice for a baby’s room. The size of this heater makes you wonder if it is there at all. It will only heat a 100 square foot room. You have to nearly set on top of it to feel any warmth. You need a really quiet heater for a baby’s room and don’t want to pay a lot of money. You might not be impressed with the low output of this heater. What makes the Duraflame DFI-5010-01 space heater nice is that you also get the added ambience of a fire place along with your heat. The infrared quartz heat will heat a room up to 150 square feet while maintaining natural levels of humidity. Both its heat and the 5 flame effects of the stove can be controlled by remote control. The beveled glass door is fully operational so that you can look in on the 3D flame effects. It is safety rated and is also quiet. Heat along with added fireplace ambience is a definite plus for this space heater. It is easy to setup and use with the included remote control, which controls both heat output and flame configurations. It will heat a 150 square foot room and has all of the necessary safety ratings as well as quiet operation. It is lightweight and portable, cool to the touch, has no fireplace mess, and also comes with a 1 year warranty. The fan noise is a bit louder than desired when the blower is on high. This unit has plastic legs, which sort of ruins the whole look and feel. You want a space heater with the added ambience of a fireplace. You might not be thrilled by fake fireplace look. The Cadet Com-Pak Twin Electric Wall Heater will provide the additional heat you are calling for when you look for a space heater. This is a durable wall mounted unit with double the power. It has all of the necessary safety certifications for worry-free operation and can heat a 300 square foot room rapidly without taking up any space in the room. The thermostat is fully adjustable from 40 to 85 degrees Fahrenheit. Plenty of heating power and space saving benefits can be had with this wall mounted unit. It is built to last as well as provide plenty of heat to a 300 square foot room. It includes all of the necessary safety features for operation and works silently to keep the temperature of the room at the level you desire. The only off switch is to turn off a circuit breaker as there is no off switch on the unit itself. There is no readout for temperature setting on the thermostat, so you are basically guessing. It requires a 220 volt outlet and there is not portability with this unit. You want reliable and powerful added heat to a larger room and don’t want it to take up space. You might not be happy that this heater can only be turned off by flipping a circuit breaker. When it comes to portability, the compact and lightweight design of the Tenergy PTC Ceramic Heater fits the bill. Its compact, modern look is a nice design touch on a heater that is surprisingly powerful for such a small unit. Heat can be set on high or low to adjust output and the fan on the unit can be tilted to aim it right where you want the heat most. This heater heats up fast and provides the warmth you desire within three seconds. 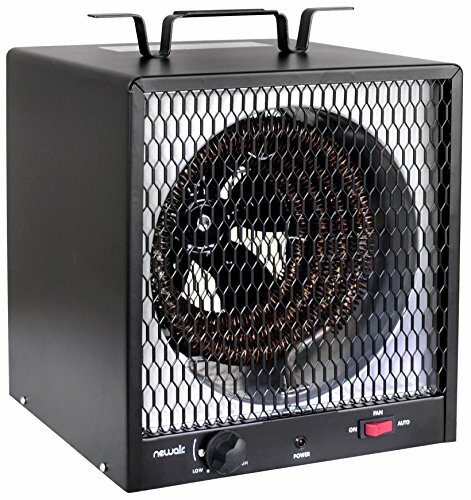 This lightweight portable heater is pretty powerful for its size and is able to heat a 150 square foot room. You can adjust both the fan angle and the output temperature, and it heats up quickly. It is ETL certified with all of the necessary safety features and comes with a 2-year extended warranty along with lifetime support. The loud whine when you first turn it on is a bit irritating. You have to be very careful about placing items near this unit. You are looking for a powerful, portable unit at a decent price. You will need to be careful about where you place this heater. 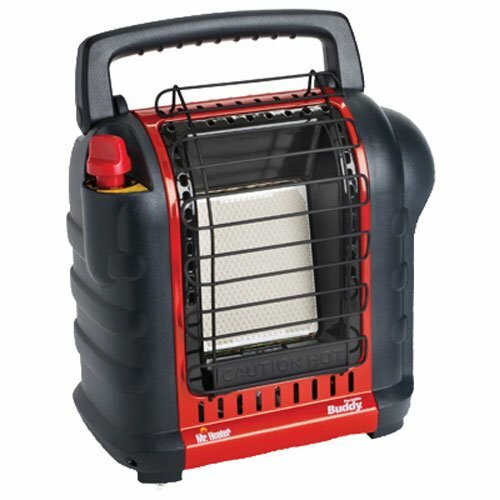 When it comes to genuine portability which doesn’t even require proximity to an outlet, nothing beat the Mr. Heater F232000 MH9BX Buddy Portable Propane Heater. The radiant heat of this liquid propane heater will heat a room over 250 square feet. This unit features a small footprint and is lightweight. It is easy to light and uses a 1 lb. disposable propane cylinder for fuel. It has an Oxygen Depletion Sensor (ODS), which will shut the unit off as will its tip-over switch. This unit will quickly and efficiently heat up an area up to 250 square feet and help take the chill off. This is a durable, truly portable unit, which can be taken beyond the reach of a power outlet. It has a built in igniter and all of the necessary safety features for worry-free operation. It has a four position heat control adjustment and comes with a 3 year warranty. This unit requires the addition of propane fuel tanks as well as the additional trouble of changing them out when they become empty. The ODS sensor on this unit will make it almost impossible to run it if you live above 7,000 feet in elevation. You want a portable propane heater you can carry out to your shop, garage, camping or even use in your living room. Changing out propane tanks might not be something you want to do a lot of. Heating a basement isn’t a great deal different than heating a garage, so the Dr. Infrared Heater DR-988 is a good choice for either. This is an industrial-grade electric garage heater with plenty of power to heat a larger space. Besides its power, this is a sturdy unit which can be moved from one location to another. It includes a built in thermostat with a range from 45 to 95 degrees Fahrenheit. It will heat up a room that is 600 square feet. It is both UL and C-UL listed for safety and it cannot be mounted on the ceiling. The durable and dependable design of this unit and its power to produce a lot of heat are major benefits to keep in mind. The heater has a wide range of temperature settings controlled by an adjustable thermostat. Though it is heavy-duty, it is still portable and can be moved around. It has also the necessary safety features for worry-free operation and will heat a room up to 600 square feet. It also includes a 1 year warranty. You have to have a 220v outlet available for this heating unit. This heater puts out a high amount of heat in one direction, so you have to be careful where you aim it. You have a large empty basement or large single room basement in which you want to provide plenty of heat to prevent freezing or keep off the chill. This might be more heater than you want to use in your basement. Your basement can benefit from the quick, continuous blast of warmth that comes from the NewAir G56 Heater as well. The durable stainless steel construction of this unit is able to heat a 560 square foot room quickly and efficiently. 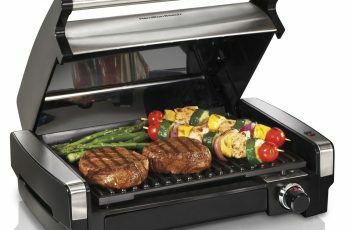 It is certified for electrical safety and has a fully protected steel safety grill to keep fingers out of its motor. It has a built in carrying handle for portability and has a fully adjustable thermostat. The NewAir G56 is durably built and does a great job of producing a large amount of heat quickly. It can heat an open room of 560 square feet rapidly. This unit is portable and has a small footprint. It is easily adjustable with its built in thermostat. 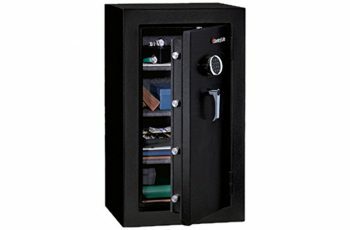 It has all of the necessary safety certifications for worry-free operation. This unit has no on/off switch and must be unplugged to turn it off. You will have to have a 220v outlet available for this unit. Because it forces a lot of really hot air in one direction, you need to be careful about what you put in front of it. You are heating a very large, open basement and want something dependable, durable and affordable to do the job. You might not like the intensity of the heat output in a single direction.